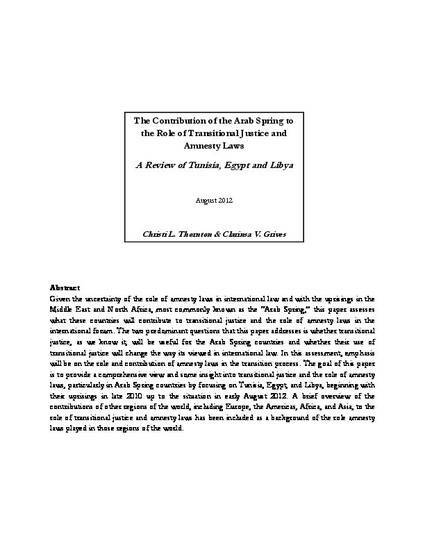 Given the uncertainty of the role of amnesty laws in international law and with the uprisings in the Middle East and North Africa, most commonly known as the “Arab Spring,” this paper assesses what these countries will contribute to transitional justice and the role of amnesty laws in the international forum. The two predominant questions that this paper addresses is whether transitional justice, as we know it, will be useful for the Arab Spring countries and whether their use of transitional justice will change the way its viewed in international law. In this assessment, emphasis will be on the role and contribution of amnesty laws in the transition process.  The goal of this paper is to provide a comprehensive view and some insight into transitional justice and the role of amnesty laws, particularly in Arab Spring countries by focusing on Tunisia, Egypt, and Libya, beginning with their uprisings in late 2010 up to the situation in early August 2012. A brief overview of the contributions of other regions of the world, including Europe, the Americas, Africa, and Asia, to the role of transitional justice and amnesty laws has been included as a background of the role amnesty laws played in those regions of the world.